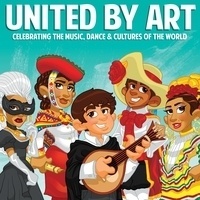 This multicultural cartoon exhibition is a celebration of the music, dance, and cultures from around the world. The art prints are pages from the upcoming book entitled United By Art. The book will feature over 100 nations from around the globe. The idea is to bring the nations from around the world to young readers who may not have the ability to travel due to limited financial resources. It can have a profoundly positive effect on the child to see how beautifully represented the nations are and how important their contributions are to the arts. Heroes of Color is an art organization that promotes inclusion and diversity through art and education. Since March 2018, they have worked to serve the local Santa Clarita community by providing art workshops for kids and adults, professional development opportunities and an educational animated video series created to help diversify the school curriculum. Enjoy light appetizers, live music, and meet the artists featured in the exhibition.